Friday I ordered one of the best Victor bass voice records from the Victor agents here. The bass is Gorgoza4, Emma Eames5' Spanish husband, and the song, "La Paloma"6 is the national song of Mexico7; it's a great favorite of mine. "La Paloma" means "the dove", and it is a song that a prisoner sings to a dove that flys by his window. Most of it is very gay, as the prisoner tells the dove what a good time he means to have when he gets out of jail. If the record doesn't arrive in good shape, or if they d don't send you the right one, please let me know. Next time you are in Red Cloud2, drop in at the Victor place8 and make them play you the Julia Culp9 record of "Oh, Rest in the Lord"10 they have it, and it's beautiful. Document is one leaf, typewritten on recto only. Includes one envelope, handwritten. 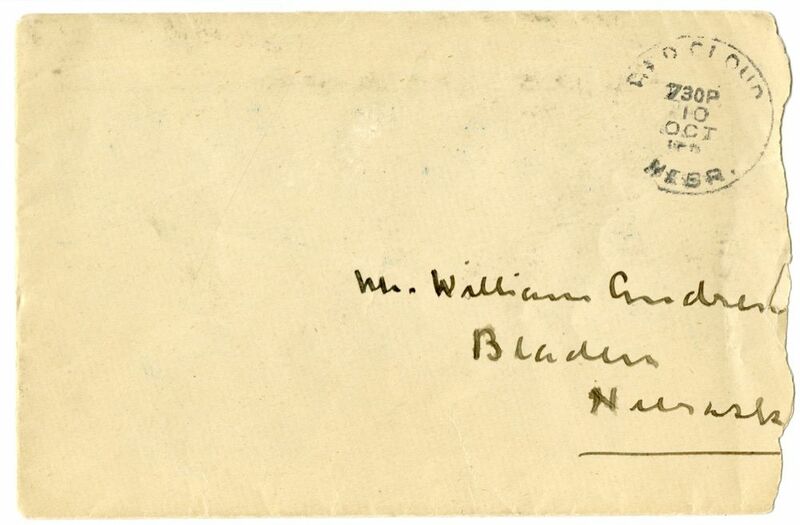 According to the postmark, the letter was mailed from Red Cloud, NE, on October 10. In 1921, October 10 was a Monday (a likely day for mailing a letter written on a Sunday) and Cather was in Red Cloud. Additionally, other letters written from Red Cloud that autumn were typed on an identical typewriter. See, for example, #2519 and #0556. The Gaston Music Company sold Victor records in Red Cloud, but announced it was closing in October 1921. Gogorza, Emilio de (1872-1949). American baritone. Born in Brooklyn, NY, to Spanish parents, De Gogorza was brought up in Spain. 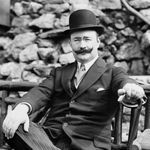 He returned to the United States in the early 1890s, where he became a noted concert singer: his poor eyesight precluded an operatic career. He made many recordings for the Victor phonograph company, both under his own name and under the names Carlos Francesco and Herman Goddard for the company’s lower-priced black label line. He taught music and voice at the Curtis Institute in Philadelphia, and continued to take pupils in his rerirement. He married his second wife, opera singer Emma Eames, in 1911; they divorced in 1936. Cather recommended some of his recordings to her brother, Roscoe. Eames, Emma (1865-1952). American soprano. Born in China to a family from Maine, Eames was educated in Boston, MA. She studied with the distinguished voice teacher, Mme. Marchesi, and made her debut with the Paris Opera in 1889, and with the Metropolitan Opera in New York in 1891. 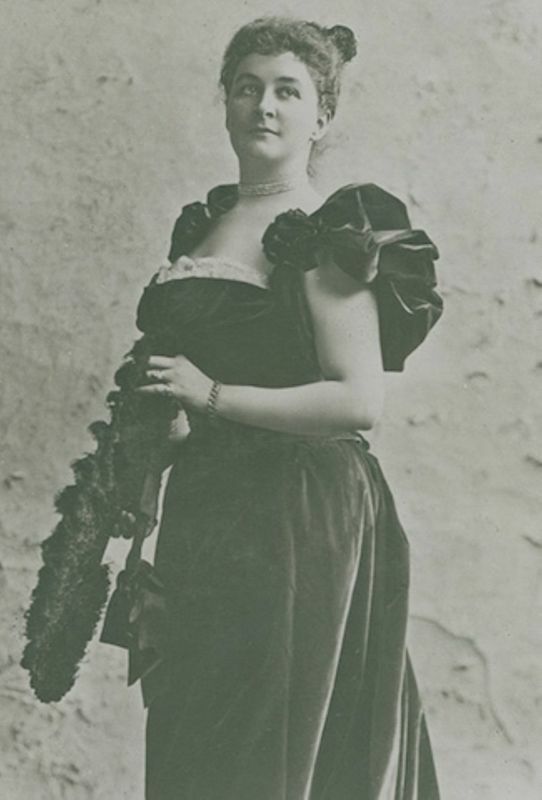 In 1909 she retired from the operatic stage, and embarked on concert tours until 1914. She became a well-known teacher of voice in later years. 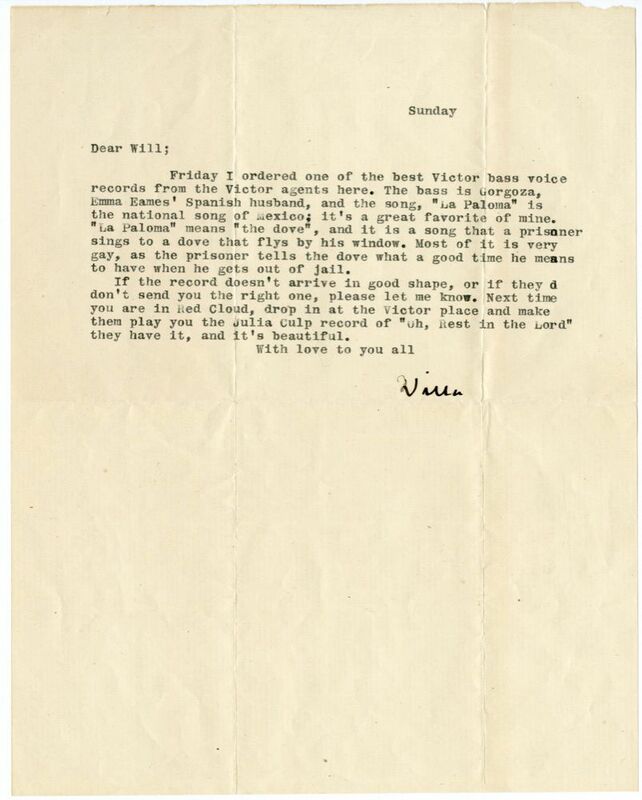 Cather’s early newspaper columns comment on Eames several times, and she mentions the singer’s marriage to portraitist Julian Story, whom Eames later divorced, and in her letters mentions the singer’s second husband, baritone Emilio de Gogorza. Culp, Julia (1880-1970). Dutch lieder singer. Born in Groningen, Netherlands, to a Jewish musical family, Culp first studied violin before turning her attention to singing at age fourteen. She studied in Amsterdam and Berlin, and soon became very popular as a concert singer of lieder. Renowned in Europe, she made her American debut in 1913 and made several successful recordings. Her first marriage, to the German Erich Merten, ended in 1918 after she volunteered in hospitals for Allied soldiers during World War I. 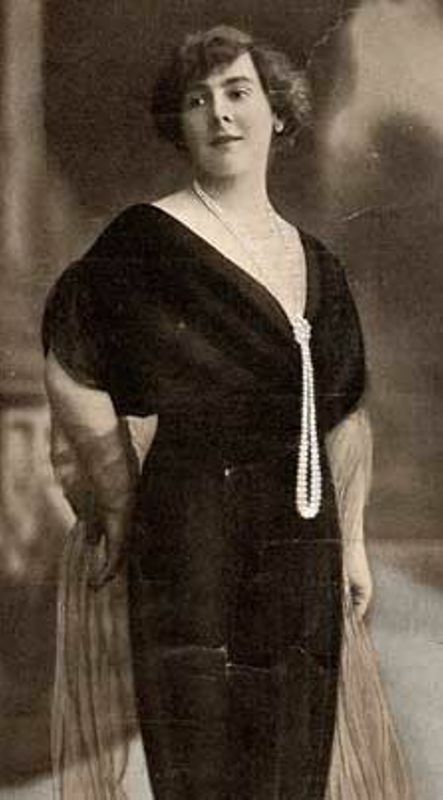 Her second marriage, to Wilhelm G. Ginzkey, lasted until his death in 1934. Culp stopped performing in the 1930s and, after going into hiding during World War II, spent her last years in Amsterdam, receiving many public honors. Cather was a fan of Culp, calling her "the best lieder singer in the world today" (#2254), and gave her records to members of her family.